Heart failure is a life-limiting condition affecting over 40 million patients worldwide. Ischemic cardiomyopathy (ICM) is the most common cause. 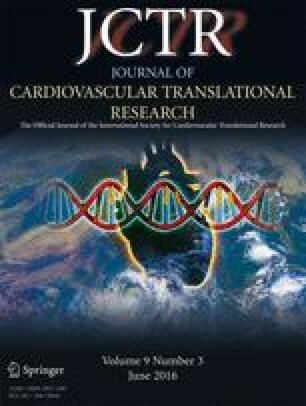 This study investigates in situ cardiac regeneration utilizing precision delivery of a novel mesenchymal precursor cell type (iMP) during coronary artery bypass surgery (CABG) in patients with ischemic cardiomyopathy (LVEF < 40 %). The phase IIa safety study was designed to enroll 11 patients. Preoperative scintigraphy imaging (SPECT) was used to identify hibernating myocardium not suitable for conventional myocardial revascularization for iMP implantation. iMP cells were implanted intramyocardially in predefined viable peri-infarct areas that showed poor perfusion, which could not be grafted due to poor target vessel quality. Postoperatively, SPECT was then used to identify changes in scar area. Intramyocardial implantation of iMP cells with CABG was safe with preliminary evidence of efficacy of improved myocardial contractility and perfusion of nonrevascularized territories resulting in a significant reduction in left ventricular scar area at 12 months after treatment. Clinical improvement was associated with a significant improvement in quality of life at 6 months posttreatment in all patients. The results suggest the potential for in situ myocardial regeneration in ischemic heart failure by delivery of iMP cells. We would like to thank the molecular biologist Dr Nancy Piouka for her valuable contribution in the preparation and handling of the iMP cells. AR, MJE, and SS hold shares in Cell Therapy Limited.